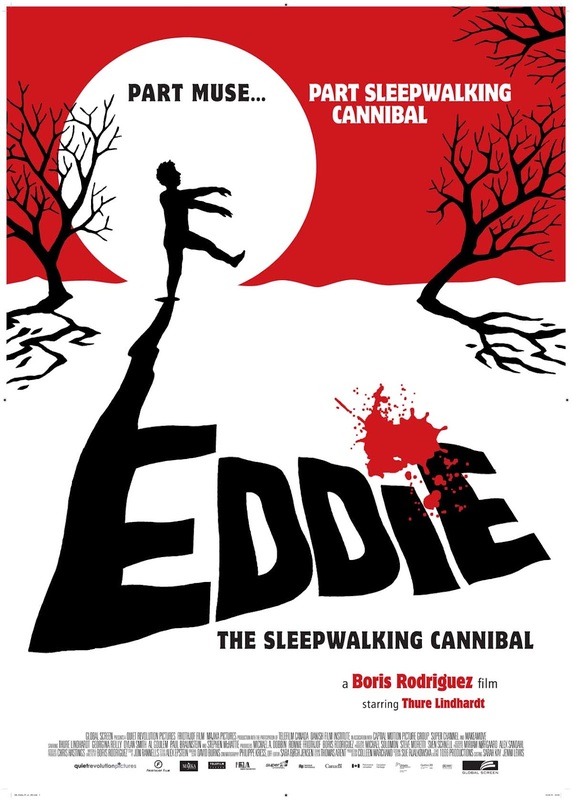 Eddie: The Sleepwalking Cannibal is a Danish-Canadian co-production shot in the Ottawa area in the winter of 2011. This comedy-horror movie features appealing Danish actor Thure Lindhardt as Lars Olafssen, a world-famous artist with ‘painter’s block’ who takes a teaching job at an obscure art school in a small Canadian town. 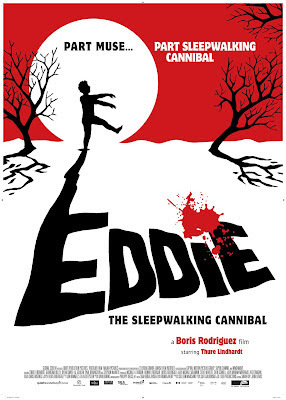 Struggling to fit into his new surroundings, he soon finds inspiration in Eddie, a mute gentle-giant of a man with an odd somnambulistic habit: stalking the woods at night and devouring small forest animals. Canadian actor Dylan Smith (Immortals) plays Eddie with subtle menace, effectively portraying the character’s Jekyll and Hyde nature. Georgina Reilly (‘Murdoch Mysteries’) lends appropriate cuteness and intelligence as Lars’s nascent love-interest. Supporting standouts include Paul Braunstein (‘Train 48’) as a smart small-town cop, and Stephen McHattie (Pontypool) as Lars’ art dealer suddenly eager for more commissions. First-time feature director and co-writer Boris Rodriguez pulls together an entertaining story skewering artistic pretension with low-brow horror. 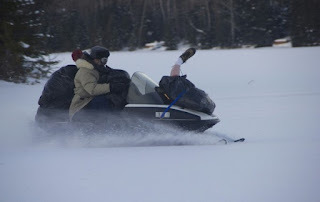 The film makes good use of its small-town setting to build suspense and takes particular advantage of the harsh beauty of the Canadian winter to enhance the film’s themes and visuals. Producer Michael Dobbin will attend a Q&A after the screening, along with some members of the cast and crew. In the fall of 2001, Yellownkife community cable debuted a new home-grown TV-show filmed largely in the winter in the town's garbage dump. Dump Talk featured interviews, improvised comedy and documentary vignettes exploring the lifestyle and culture of the largest town in the Northwest Territories. Loosely inspired by the “dogma” filmmaking trend out of Scandinavia, whereby films were produced with the barest of production values, Dump Talk took pride in making a virtue of its minimal-to-non-existent budget. Treasures scavenged in the dump and sold on eBay helped finance production expenses. The talk-show set was constructed and deconstructed each episode out of refuse and recycling found on location. 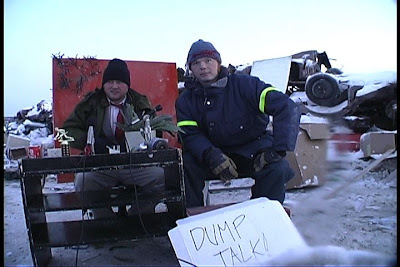 Dump Talk became a "must view, cult hit" for local Yellowknifers, which was probably helped by the fact that it aired right after TV-Bingo. The show also took some of its inspiration from the halcyon days of Ottawa's community-cable volunteer movement (pre-Rogers corporate slickification), when rough-and-ready genre-bending shows such as the early “Tom Green Show” and “In Your Face!” took comedy to the streets of the city and aired their shows with minimal censorship or corporate interference. Two of Dump Talk's creators, Paul Gordon, and Adam Bowick were Ottawa-raised transplants to the North, and they brought some of that NCR video-pride to the YK. As far as we know, Dump Talk is the only TV-show in Canadian history to be filmed primarily on location in a town dump. VHS tapes have been passed around, but never has a DVD of Dump Talk been assembled until now. To celebrate the occasion we decided to make a party of it. Bowick and Gordon will be on hand to introduce the video and answer questions. It should make for a fun evening at Club SAW.